Just some of the Ten's of Thousands of Baits we have treated over the last 20 years. Some fun photos of our termite city. Looks like Singapore from the air. 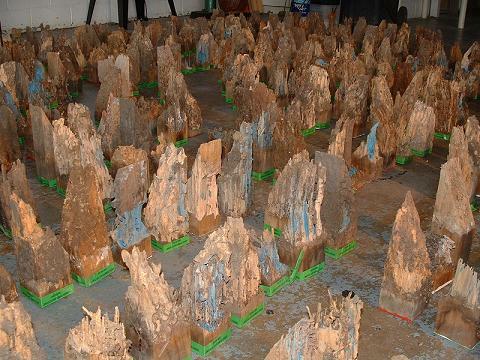 These are just a few of the thousands of active baits that have been treated for termites and replaced with new baits once the termite activity has ceased. This little group was gathered over a two month period Feb - March 2005. 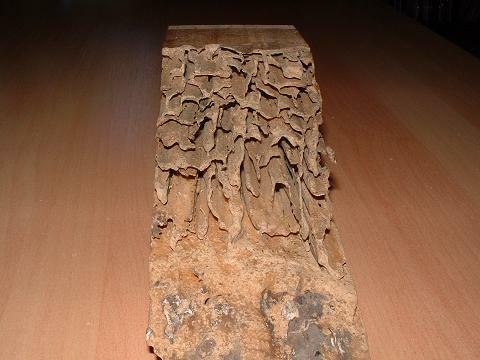 Every single bait more than likely represents one dead termite colony. 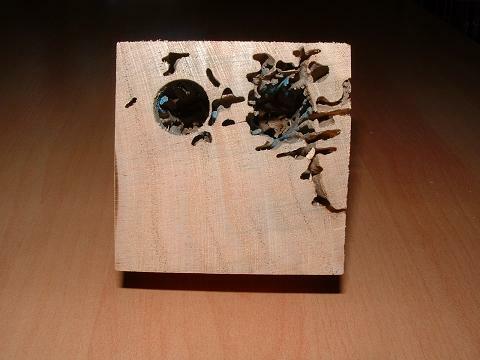 Different termite species chew the baits in different ways. The species that was attacking the bait can be identified by the style of damage done to the bait. The blue you see on some of the baits is the Intrigue® dust that is remaining after the termite activity has ceased. 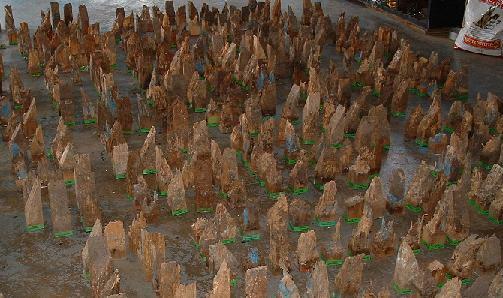 Many of these baits appear to be solid, but when you pick them up they are lighter than balsa wood because the insides are tunneled out from the activity of the diligent worker termites over a 4-10 week period. 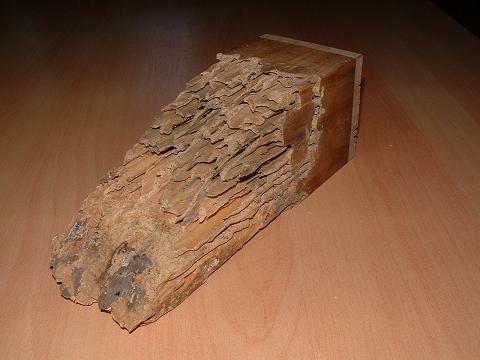 After this time, the termite activity has usually stopped and the bait is replaced with a new one. If no further activity occurs in the new bait or nearby baits, then is highly likely that the nest has been destroyed. 1 used bait = 1 dead termite colony. Check out the cross-section of a bait that had termites. Click here to learn more about the amazing and effective Green Termite Bait System.